The fact that I admire strong women has already been established. 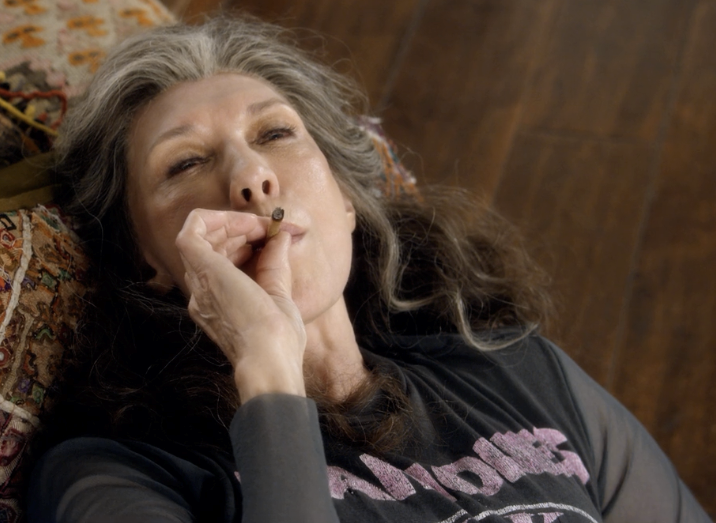 Jane Fonda (@Janefonda) and Lily Tomlin (@LilyTomlin) on Netflix’s (@netflix) Grace and Frankie (@GraceandFrankie) are the ULTIMATE in strong women. The second season came out this spring and is tackling some powerful topics: the definition of cheating, birth parents, death with dignity, ageism and memory loss. Frankie comes up against possible memory loss in episode five of season two. Her sons Bud (Baron Vaugh, @barvonblaq) and Coyote (Ethan Embry, @EmbryEthan) are concerned when she fails the driving test three times – after studying. Bud and Coyote are worried and ask does Frankie have dementia? Dementia is not a disease. It is a group of symptoms that cause cognitive decline that interferes with activities of daily living. The decline can be in memory, language, attention and concentration, reasoning and judgement, or perception. 1. Alzheimer’s dementia – this is the most common type of dementia and is NOT a normal part of aging. It is characterized by deposits of proteins in the brain forming plaques and tangles. 2. Vascular dementia – this is the second most common type of dementia. It occurs from sudden or chronic blockage of blood vessels or strokes in the brain. 3. Lewy body dementia – this is the third most common type of dementia. It also occurs from abnormal protein deposits in the brain (different proteins from Alzheimer’s dementia). Care should be taken to make sure a patient does not have delirium. Dementia is a gradual decline in memory that is usually irreversible. While delirium is an acute change in attention that is waxing and waning, caused by some underlying disease process and can be reversible. Based on the above Frankie does NOT have dementia. She doesn’t have delirium. She probably was just a little too high when she spoke to her kids.